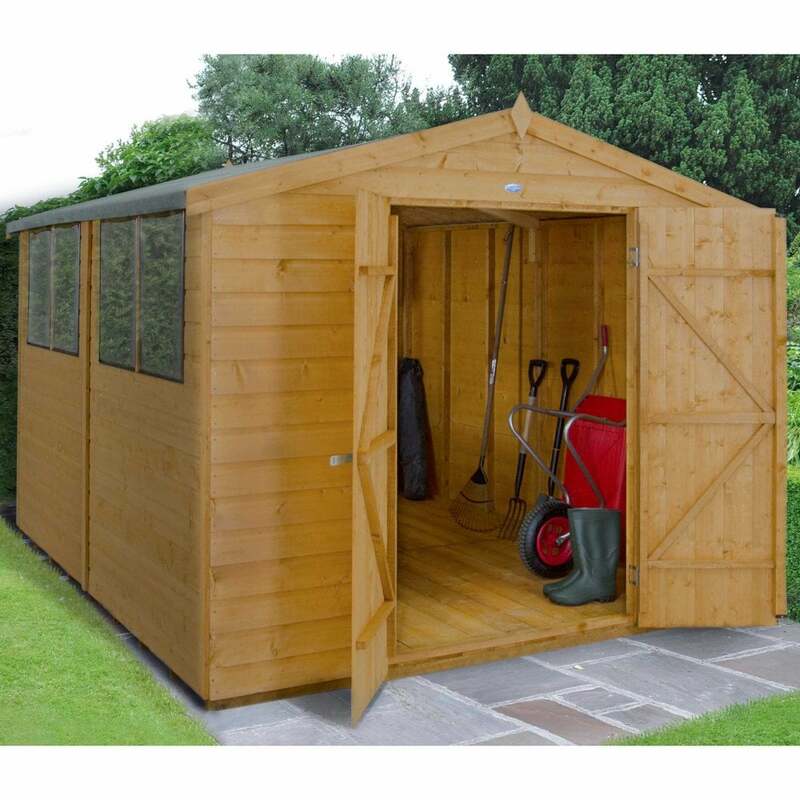 Forest Garden 8 x 10 Shiplap Dip Treated Apex Shed: The Forest Garden 8 x 10 shiplap dip treated apex shed is a large storage shed suitable for the larger garden, the shed features a double door to the front for easy access. The traditionally styled apex roof is made up from OSB sheet material and is covered on the outside with the included shed felt which is a popular waterproof roofing material. This shed has a 10 year anti rot guarantee when looked after correctly and will last you for many years. This garden shed is delivered flat packed for simple self-assembly when constructed by 2 or more people. The double door has double Z framing and secure hidden hinges and includes a hasp and staple lock for added protection for your contents. This shed is from the Forest Garden shiplap range, all the buildings in this range are constructed from tongue and groove shiplap timber which is FSC certified from a sustainable source, the timber is tight fitting to ensure better protection against wind and rain and the floor is pressure treated for a long lasting rot resistant finish. At Simply Log Cabins we have a vast range of shed and log cabin sizes to choose from, why not view the full range now!